"Kill list" redirects here. For the 2011 British horror film, see Kill List. Predator drone launching a Hellfire missile of the kind used to kill terrorism suspects. The Disposition Matrix, informally known as a kill list, is a database of information for tracking, capturing, "rendering", or killing suspected enemies of the United States. Developed by the Obama administration beginning in 2010, it goes beyond existing kill lists and is intended to become a permanent fixture of U.S. policy. The process determining criteria for killing is not public and was heavily shaped by National Counterterrorism Director and former Central Intelligence Agency (CIA) Director John O. Brennan. Though White House, National Counterterrorism Center (NCTC), and CIA spokespeople have declined to comment on the database, officials have stated privately that kill lists will expand "for at least another decade", if not indefinitely. One official stated "it's a necessary part of what we do". Paul R. Pillar, the former deputy director of the CIA's counterterrorism center, has stated, "We are looking at something that is potentially indefinite". The database's existence was revealed in a three-part series published by The Washington Post newspaper. – Unnamed senior Obama administration official, The Washington Post, 23 October 2012. The creation of the Disposition Matrix database is part of an effort embraced by White House counterterrorism adviser John O. Brennan to codify the targeted killing policies developed by President Barack Obama. Under the George W. Bush administration, Brennan served as top aide to CIA director George Tenet, where he defended the administration's use of extraordinary rendition, enhanced interrogation, and torture by definition according to international standards. Brennan's association with the CIA's interrogation program was controversial and forced him to withdraw his candidacy for directorship of the CIA or National Intelligence in 2008. According to the New York Times, Brennan was the "principal coordinator" of U.S. kill lists. Former Obama administration counter-terrorism official Daniel Benjamin has stated that Brennan "probably had more power and influence than anyone in a comparable position in the last 20 years". 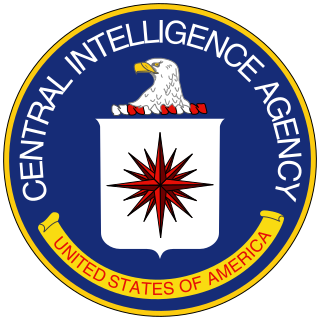 The database's creation also accompanied an expansion of the drone fleet, turning the CIA into a "paramilitary force" according to The Washington Post. It is associated with increased Joint Special Operations Command (JSOC) operations in Africa, and increased JSOC involvement in forming kill lists. The database has unified originally separate but overlapping kill lists maintained by both JSOC and the CIA, and was originally proposed by former NCTC director Michael Leiter. John O. Brennan, former director of the Central Intelligence Agency and chief counter-terrorism advisor to U.S. President Barack Obama. The Disposition Matrix database catalogues biographies, locations, associates, and affiliations of suspects. It also catalogues strategies for finding, capturing, or killing suspects, or subjecting them to extraordinary rendition. The database continues to direct U.S. operations in Afghanistan, Pakistan, Somalia and Yemen, and will facilitate expanded operations in Algeria, Egypt, Mali, Libya, Iran, and throughout east Africa. A clear example of the expansion of targeted killing as managed by the database is the U.S. military base in Djibouti City, Djibouti, near Somalia. Called Camp Lemonnier and originally created by the French Foreign Legion, the camp has quietly transformed into the largest overseas U.S. drone base outside of Afghanistan. About 3,200 U.S. soldiers, contractors and civilians are assigned to the camp, 300 of whom are special operations personnel. One terrorism suspect on the Disposition Matrix is Somali citizen Ahmed Abdulkadir Warsame, who is currently a prisoner of the United States being held in New York. I tend to do what I think is right. But I find much more comfort, I guess, in the views and values of this president. – John O. Brennan in August 2012. The Washington Post, 24 October 2012. The database eliminates the prior system of dual (but not judicial) scrutiny by both The Pentagon and the National Security Council, instead using a "streamlined" system in which suspects are designated by multiple agencies and ultimately presented to Brennan. The head of the Joint Chiefs of Staff, responsible for carrying out orders to kill suspects on the list, no longer contributes to the decision of whether or not to kill them. Instead, the National Counterterrorism Center plays a greater role in determining targets, which they generate at the request of the White House. The criteria and decisions determining who may be targeted for killing are developed in large part by John Brennan, who "wields enormous power in shaping decisions on 'kill' lists and the allocation of armed drones". Targets are reviewed every three months with input from the CIA and JSOC, before being passed on to top officials in the NCTC, CIA, JSOC, the National Security Council, Pentagon, and U.S. State Department. Ultimately, the authority to kill a suspect outside Pakistan must be approved by the President. The review process also allows the killing of individuals whose identities are unknown, but who are thought to be engaged in certain activities, for instance packing a vehicle with explosives. As reported previously, United States citizens may be listed as targets for killing in the database. Suspects are not formally charged of any crime or offered a trial in their own defense. Obama administration lawyers have asserted that U.S. citizens alleged to be members of Al Qaeda and said to pose an "imminent threat of violent attack" against the United States may be killed without judicial process. The legal arguments of U.S. officials for this policy were leaked to NBC News in February 2013, in the form of briefing papers summarizing legal memos from October 2011. U.S. officials have described the Disposition Matrix as legally and morally sound, and The Washington Post has written that "internal doubts about the effectiveness of the drone campaign are almost nonexistent". U.S. President Barack Obama has called the decision to kill U.S. citizen and terrorism suspect Anwar al-Awlaki "an easy one", and shares counterterrorism views with Brennan, the principal architect of the criteria used when making suspects targets in the database. Referring to President Obama's view of drone strikes, Brennan has stated, "I don't think we've had a disagreement". U.S. officials speaking to The Washington Post seemed "confident that they have devised an approach that is so bureaucratically, legally and morally sound that future administrations will follow suit". Brennan, a principal architect of the "Disposition Matrix", stated in April 2012 that "in order to ensure that our counterterrorism operations involving the use of lethal force are legal, ethical, and wise, President Obama has demanded that we hold ourselves to the highest possible standards and processes". The Obama administration's drone program received approval from Republican Party presidential candidate Mitt Romney during the 2012 U.S. presidential elections. Robert M. Chesney has written for the Lawfare blog that "it certainly is a good thing to create an information management tool that makes certain that officials across agencies and departments can have real-time, comprehensive understanding of the options available (practically, legally, diplomatically, etc.) in the event specific persons turn up in specific places". He has also argued that The Washington Post article describing the program falsely implies that it has been associated with a change in U.S. counter-terrorism policy. According to research by the RAND Corporation, "drone strikes are associated with decreases in both the frequency and the lethality of militant attacks overall and in IED and suicide attacks specifically". Anyone who thought U.S. targeted killing outside of armed conflict was a narrow, emergency-based exception to the requirement of due process before a death sentence is being proven conclusively wrong. – The American Civil Liberties Union, 23 October 2012. Pakistani interior minister Rehman Malik has stated that 336 U.S. drone strikes in Pakistan claimed over 2,300 victims, 80% of whom were innocent civilians. A 2012 Pew Research Center poll found that 74% of Pakistanis believed that the U.S. "is the enemy", an increase from prior years. The American Civil Liberties Union (ACLU) has condemned the database, writing in a press release that "anyone who thought U.S. targeted killing outside of armed conflict was a narrow, emergency-based exception to the requirement of due process before a death sentence is being proven conclusively wrong". It has also filed freedom of information requests regarding the database and filed a lawsuit challenging its constitutionality. Glenn Greenwald has written that "the central role played by the NCTC in determining who should be killed [is] rather odious ... the NCTC operates a gigantic data-mining operation, in which all sorts of information about innocent Americans is systematically monitored, stored, and analyzed". Greenwald concludes that the Disposition Matrix has established "simultaneously a surveillance state and a secretive, unaccountable judicial body that analyzes who you are and then decrees what should be done with you, how you should be "disposed" of, beyond the reach of any minimal accountability or transparency". Former counter-terrorism specialist and military intelligence officer Philip Giraldi has criticized the disposition matrix's "everyday" killing of targets with what he calls "little or no evidence", leaving the White House "completely unaccountable". Giraldi later commented that Brennan "feels the [drone] program has run its course as a CIA operation". In April 2016, peace worker and tribal elder Malik Jalal, who appears to have been targeted by repeated drone strikes, was invited to the United Kingdom (UK) by Ken Macdonald in order to explain to the UK's Houses of Parliament that his life and those of his friends and relatives are at risk due to his reported presence on the list. Criticizing strikes organized under the aegis of the database, the World Socialist Web Site has written that "the great majority of those killed in Pakistan are targeted for resisting the US occupation of neighboring Afghanistan, while in Yemen they are killed for opposing the US-backed regime there". Regarding the effect of the database in the United States, the site has written that "the Obama administration has arrogated to itself the most extreme power that can be asserted by any dictatorship—that of ordering citizens put to death without presenting charges against them, much less proving them in a court of law". They later criticized the relative silence in the media and the political establishment following the revelation. In 2016, New York Daily News journalist Gersh Kuntzman has criticized the U.S. government's drone assassination program, and has even implied that the Obama administration may be guilty of war crimes. In a commentary reprinted by Eurasia Review, Russia Today has called strikes directed by the database "targeted executions" and "extrajudicial murders", and rhetorically asked how the database will further U.S. counter-terrorism policies if it alienates its allies. Describing the criteria for killing established by the database and drone program, Voice of Russia has written that "in essence, this means that based on intelligence evidence, the administration assumes the right to judge and execute anyone without bothering about such minor things as proper court hearings, or the right of the accused person for proper legal defense". It has accused the Obama administration of violating U.S. principles of due process, stating, "the fact that such operations clearly violate the principles propagated by the U.S. itself, like the right of everyone for legal defense, does not seem to bother the administration". U.N. Special Rapporteur Ben Emmerson said the U.S. may have committed war crimes in its campaign of drone strikes. Speaking at Harvard Law School on 25 October 2012, United Nations Special Rapporteur on human rights and counter terrorism, Ben Emmerson, stated that he would launch "an investigation unit within the special procedures of the Human Rights Council to inquire into individual drone attacks". Emmerson and Christof Heyns, UN Special Rapporteur on extrajudicial, summary or arbitrary executions, have described some U.S. drone attacks as war crimes. Emmerson said that U.S. drone strikes may have violated international humanitarian law. John Hudson, writing in The Atlantic Wire, has raised the concern that from a semantic perspective, the term "Disposition Matrix" sanitizes and perhaps obscures the more descriptive phrase "kill list". The United States Senate is split over how to handle the issue, with Democrats urging the creation of a special court to review the matrix. Senate Armed Services Committee chair John McCain called for control of all armed drones to be transferred from the CIA to the U.S. Department of Defense, while Dianne Feinstein has expressed doubt that the Pentagon would take the same level of care to avoid collateral damage. 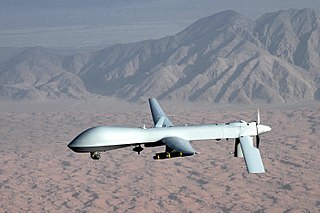 Reports on civilian casualties in Pakistan resulting from U.S. drone attacks have been compiled by a number of institutions including the Bureau of Investigative Journalism, the Long War Journal, the New America Foundation, and researchers at Stanford University and New York University law schools. The New York Times reported that the Obama Administration embraced a disputed method for counting civilian casualties, which in effect counts all military-age males in a strike zone as combatants, giving partial explanation to the official claims of extraordinarily low collateral deaths. The Bureau of Investigative Journalism (TBIJ) reports that between 2004 and 2012, CIA directed drone strikes killed 475–885 Pakistani civilians, of 2,593–3,378 persons killed altogether. The report finds that drone strikes killed 176 children, and injured an additional 1,250 or more people. The TBIJ report estimates that drone strikes in Pakistan declined from 904 to 228 between 2010 and 2012. Graph of average casualties in drone strikes ordered by the United States in Yemen, 2002-Present. TBIJ reports that during the same timeframe, drone strikes killed 60–163 Yemeni civilians, of 362–1,052 persons killed altogether in Yemen, including 24–34 children; strikes killed 11–57 Somali civilians of 58–170 persons killed in Somalia, including 1–3 children. The Long War Journal (LWJ), published by the Foundation for Defense of Democracies, reports that 136 Pakistani civilians have been killed by drone attacks since 2006. According to LWJ, the majority of drone strikes in Pakistan since 2004 occurred under the Obama Administration, which has ordered over 247 strikes since 2009, compared the Bush Administration's 45. The New America Foundation (NAF) has published a report titled "Year of the Drone", finding that between 2004 and 2012, U.S. drone strikes killed 1,618–2,769 militants, of 1,908–3,225 killed altogether in Pakistan. The foundation also found that during the same period, reported civilian casualties from drone strikes were 15–16%, dropping from 60% in 2006 to 1–2% in 2012. A report by researchers at Stanford and New York University law schools, working at the Stanford International Human Rights and Conflict Resolution clinic and at the Global Justice Clinic, has evaluated casualty reports produced by TBIJ, LWJ and NAF, also conducting its own interviews with witnesses and victims. The report finds that casualty estimates obtained by TBIJ are "the best currently available", while it finds "omissions and inconsistencies in New America Foundation's dataset", and challenges their finding that civilian casualties have been low in 2012. The report criticizes reliance on anonymous officials for estimates of civilian casualties, and widespread use of the term "militant" by the media when describing non-civilian casualties. The report concurs with that published by the NAF, stating the number of "high level targets" killed by drone strikes in Pakistan constitutes about 2% of all drone strike casualties. Meg Braun, an author of the NAF study, has written that the Stanford and New York University researchers were "not impartial", adding that while "the U.S. government's claims that civilian casualties from drone strikes during Obama's term in office are in the single digits are manifestly untrue, [there] is no need to overstate the rate of civilian deaths to make the point that drones strikes are legally suspect and morally hazardous". The Intercept reported, "Between January 2012 and February 2013, U.S. special operations airstrikes [in northeastern Afghanistan] killed more than 200 people. Of those, only 35 were the intended targets. During one five-month period of the operation, according to the documents, nearly 90 percent of the people killed in airstrikes were not the intended targets." ^ a b c d e f g h i j k l m n o p q r Miller, Greg (23 October 2012). "Plan for hunting terrorists signals U.S. intends to keep adding names to kill lists". The Washington Post. Archived from the original on 26 October 2012. ^ a b c d DeYoung, Karen (24 October 2012). "A CIA veteran transforms U.S. counterterrorism policy". The Washington Post. Archived from the original on 26 October 2012. ^ a b c d e Van Auken, Bill (25 October 2012). "Obama institutionalizes state assassinations". World Socialist Web Site. Archived from the original on 26 October 2012. ^ Warrick, Joby (25 November 2008). "Brennan Withdraws From Consideration for Administration Post". The Washington Post. Archived from the original on 26 October 2012. ^ Worth, Robert; Mazzetti, Mark; Shane, Scott (5 February 2013). "Drone Strikes' Dangers to Get Rare Moment in Public Eye". The New York Times. Retrieved 5 February 2013. ^ a b Whitlock, Craig (25 October 2012). "Remote U.S. base at core of secret operations". The Washington Post. Archived from the original on 26 October 2012. ^ a b Shane, Scott; Becker, Jo (29 May 2012). "Secret 'Kill List' Proves a Test of Obama's Principles and Will". The New York Times. Archived from the original on 26 October 2012. ^ Van Auken, Bill (26 October 2012). "Institutionalized state assassinations and the November 6 election". World Socialist Web Site. Archived from the original on 31 October 2012. ^ a b Savage, Charlie; Shane, Scott (5 February 2013). "Memo Cites Legal Basis for Killing U.S. Citizens in Al Qaeda". The New York Times. Retrieved 5 February 2013. ^ Brennan, John O. (30 April 2012). "The Efficacy and Ethics of U.S. Counterterrorism Strategy". The Wilson Center. Archived from the original on 31 October 2012. ^ a b Chesney, Robert (24 October 2012). "Kill Lists, the Disposition Matrix, and the Permanent War: Thoughts on the Post Article". lawfareblog.com. Archived from the original on 26 October 2012. ^ Johnston, Patrick B.; Sarbahi, Anoop (25 February 2012). "The Impact of U.S. Drone Strikes on Terrorism in Pakistan" (PDF). RAND Corporation. ^ a b c Higgins, Sean (24 October 2012). "ACLU slams White House for "disposition matrix" i.e., terrorist hit list". The Washington Examiner. Archived from the original on 26 October 2012. ^ "Pakistani Public Opinion Ever More Critical of U.S". Pew Research Center. 27 June 2012. Retrieved 1 February 2017. ^ a b Greenwald, Glenn (24 October 2012). "Obama moves to make the War on Terror permanent". The Guardian. London. Archived from the original on 26 October 2012. ^ Giraldi, Philip (8 November 2012). "Kill Lists Will Continue". Antiwar.com. Archived from the original on 9 November 2012. ^ Hirsch, Michael (7 February 2013). "John Brennan's Love-Hate Relationship With Drones". National Journal. Archived from the original on 11 February 2013. Retrieved 16 February 2013. ^ "Malik Jalal - FAQs - 38 Degrees". 18 April 2016. Retrieved 12 February 2018. ^ "Meet Malik Jalal, Who is on the Drone Kill List". Common Dreams. Retrieved 12 February 2018. ^ Kishore, Joseph (31 October 2012). "American democracy and the "disposition matrix"". World Socialist Web Site. Archived from the original on 7 November 2012. ^ "President Obama should apologize when he visits atomic bomb site in Hiroshima — and while he’s at it, he should swear off drone strikes". NY Daily News. April 14, 2016. ^ "Kill-list 2.0: Obama's 'disposition matrix' maps out extrajudicial murders for years to come". Russia Today. 24 October 2012. Archived from the original on 26 October 2012. Retrieved 25 October 2012. ^ a b Volkhonsky, Boris (26 October 2012). "Barack Obama widens the practice of extrajudicial killings". Voice of Russia. Archived from the original on 31 October 2012. ^ a b "United Nations to begin investigating US drone strike targeted kills". Russia Today. 26 October 2012. Archived from the original on 26 October 2012. Retrieved 25 October 2012. ^ Hudson, John (24 October 2012). "How the White House 'Kill List' Became the White House 'Disposition Matrix'". The Atlantic Wire. Archived from the original on 31 October 2012. ^ Helfrich, Jesse (13 February 2013). "No court for drone oversight, says GOP". Retrieved 12 February 2018. ^ Mali, Meghashyam (24 March 2013). "White House move to let Pentagon take over CIA armed drones sparks concern". Retrieved 12 February 2018. ^ a b c d e International Human Rights and Conflict Resolution Clinic, Stanford Law School; Global Justice Clinic, NYU School of Law (September 2012). "Living Under Drones: Death, Injury and Trauma to Civilians from US Drone Practices in Pakistan" (PDF). Archived from the original (PDF) on 8 November 2012. ^ Becker, Jo; Shane, Scott (29 May 2012). "Secret 'Kill List' Tests Obama's Principles". The New York Times. ^ a b c "Obama 2012 Pakistan strikes". The Bureau of Investigative Journalism. 11 January 2012. ^ Woods, Chris (10 August 2011). "Drone War Exposed – the complete picture of CIA strikes in Pakistan". The Bureau of Investigative Journalism. ^ "Pakistan drone statistics visualised". The Bureau of Investigative Journalism. 2 July 2012. ^ "US strikes in Yemen, 2002 to present". Google Docs. ^ Zucchino, David (24 September 2012). "Drone strikes in Pakistan have killed many civilians, study says". Los Angeles Times. ^ Islam, Nasir (19 June 2012). "Deadly drones and Obama's secret war in Pakistan". Daily Times. Pakistan. ^ Roggio, Bill; Mayer, Alexander (24 October 2012). "Charting the data for US airstrikes in Pakistan, 2004 - 2012". Foundation for Defense of Democracies. Archived from the original on 18 February 2015. ^ a b "The Year of the Drone". New America Foundation. Archived from the original on 30 August 2011. ^ Fabi, Randy; Chowdhry, Aisha (8 November 2012). "Obama victory infuriates Pakistani drone victims". Reuters. Archived from the original on 8 November 2012. ^ a b "Drone strikes kill, maim and traumatize too many civilians, U.S. study says". CNN. 26 September 2012. Archived from the original on 8 November 2012. ^ Friedersdorf, Conor (6 July 2012). "CNN's Bogus Drone-Deaths Graphic". The Atlantic. ^ Braun, Meg (2 November 2012). "Counting civilian casualties in CIA's drone war". Foreign Policy. Archived from the original on 4 November 2012. ^ "The Obama Administration's Drone-Strike Dissembling". The Atlantic. 14 March 2016. An unmanned combat aerial vehicle (UCAV), also known as a combat drone or simply a drone, is an unmanned aerial vehicle (UAV) that usually carries aircraft ordnance such as missiles and is used for drone strikes. These drones are usually under real-time human control, with varying levels of autonomy. Aircraft of this type have no onboard human pilot. As the operator runs the vehicle from a remote terminal, equipment necessary for a human pilot are not needed, resulting in a lower weight and a smaller size than a manned aircraft. China, Israel, and the United States are widely recognized as industry leaders in UCAV technology. Several other countries have operational domestic UCAVs and many more have imported armed drones or have development programs under way. The Special Activities Division (SAD) is a division of the United States Central Intelligence Agency responsible for covert operations. The name of the unit changed to Special Activities Center in May of 2016. Within SAD there are two separate groups: SAD/SOG for tactical paramilitary operations and SAD/PAG for covert political action. The Joint Special Operations Command (JSOC) is a component command of the United States Special Operations Command (USSOCOM) and is charged to study special operations requirements and techniques to ensure interoperability and equipment standardization; to plan and conduct special operations exercises and training; to develop joint special operations tactics; and to execute special operations missions worldwide. It was established in 1980 on recommendation of Colonel Charlie Beckwith, in the aftermath of the failure of Operation Eagle Claw. It is located at Pope Field. John Owen Brennan is an American intelligence official who served as the Director of the Central Intelligence Agency (CIA) from March 2013 to January 2017. He served as chief counterterrorism advisor to U.S. President Barack Obama, with the title Deputy National Security Advisor for Homeland Security and Counterterrorism, and Assistant to the President. Previously, he advised Obama on foreign policy and intelligence issues during the 2008 election campaign and presidential transition. Brennan withdrew his name from consideration for Director of the Central Intelligence Agency (CIA) during the first Obama administration over concerns about his support, after defending on TV the transferring of terror suspects to countries where they might be tortured while serving under President George W. Bush. Instead, Brennan was appointed Deputy National Security Advisor, a position which did not require Senate confirmation. The Al-Qaeda insurgency in Yemen refers to the armed conflict between the Yemeni government with United States assistance, and al-Qaeda-affiliated cells. The strife is often categorized as a sub-conflict in the greater Global War on Terror. The Datta Khel airstrike was an American airstrike carried out on 17 March 2011 in Datta Khel, North Waziristan that killed 44 people and led to widespread condemnation in Pakistan. Sherabat Khan Wazir, a top commander of Hafiz Gul Bahadur's Taliban faction, was killed in the strike, and in response Bahadur threatened to end the peace deal struck with the Pakistani government almost four years earlier. The airstrike was part of a long series of drone attacks in Pakistan carried out by the CIA and United States military. It occurred just two days after diyya, a form of compensation paid to a victim's family under Islamic law, was paid for the release of U.S. CIA operative Raymond Allen Davis, signaling a resumption of U.S. activity after a several week hiatus while Davis' pardon on murder charges was being negotiated. Targeted killing is defined as a form of assassination carried by governments against their perceived enemies. Analysts believe it to be a modern euphemism for the assassination of an individual by a state organization or institution outside a judicial procedure or a battlefield. Abdulrahman Anwar al-Awlaki was a 16-year-old American of Yemeni descent who was killed while eating dinner at an outdoor restaurant in Yemen by a drone airstrike ordered by U.S. President Barack Obama on 14 October 2011. Abdulrahman al-Awlaki's father, Anwar al-Awlaki, was alleged to be an operational leader of al-Qaeda in the Arabian Peninsula. Anwar was killed by a CIA drone strike also ordered by President Barack Obama two weeks prior to the killing of his son.